The Conference "Industrial Gases - Kuwait"
Conference update: February 1 - 2, 2011. Venue: Kuwait Foundation for the Advancement of Sciences hall. On January, 19 - 21st 2011 the Exhibition Company "Mir-Expo" took part at the 33rd AIIGMA conference in Kuala-Lumpur (Malaysia). During the conference the Director of the Exhibition Company "Mir-Expo" and the Executive Director of Russian IGMA Bannikov V.A. presented the information about the 10th International Specialized Exhibition Cryogen-Expo and about the International Conferences "Industrial Gases" held in Libya and in Moscow to the participants of the conference and also told them about the activity of Russian IGMA. The conference was very well organized. Warm friendly atmosphere as well as interesting business and cultural program favoured the fruitful work. The detailed report about the conference you can see on the website of the organizer: http://www.aiigma.org/. During the conference the agreements about the cooperation of AIIGMA and CIGIA with the Exhibition Company "Mir-Expo" and Russian IGMA have been achieved. The companies will exchange delegations for participation in the events on industrial gases and will give each other information support. The 23rd WORLD LP GAS FORUM, THE 2010 AEGPL CONGRESS AND THE 25th AIGLP CONFERENCE exhibitors and visitors as it brings together the best aspects of the AEGPL Annual congress and the World LP Gas Forum. 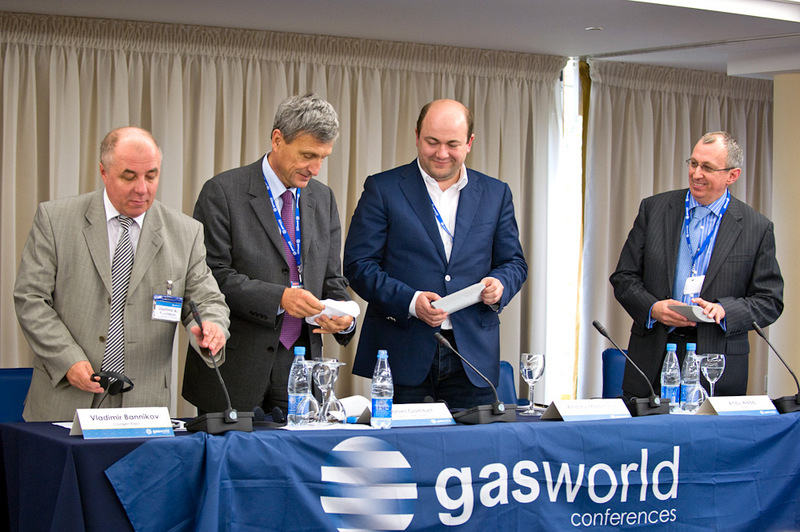 In essence, it is two annual events into one exceptional LP Gas conference and exhibition. The World LP Gas Forum is the premier annual global event for the LP Gas industry. It travels the globe annually attracting key international agencies, policy makers, media and the highest level of industry leaders to explore the LP Gas business, discuss its growth potential and to forge new business relationships. The AEGPL Congress is the LPG event of the year for the European industry as a whole. Drawing key industry leaders and experts both from Europe and worldwide, the AEGPL Congress is an exceptional forum to discuss and debate the role of LPG in Europe. Congress organizers: RAS, UNIDO-ICHET, IHE, IPCP RAS, International Association for Hydrogen Energy, STC "TATA and others. "Hydrogen and Renewable Sources of Energy" Conference, "Safety and Economy of Hydrogen Transport" Symposium and some other actions are being run. Fulbright session and round table discussion will be held in the course of the Congress activities. Regarded as one of the most promising industrial gas markets in the world, the vast geography of Eastern Europe is plentiful in natural resources. 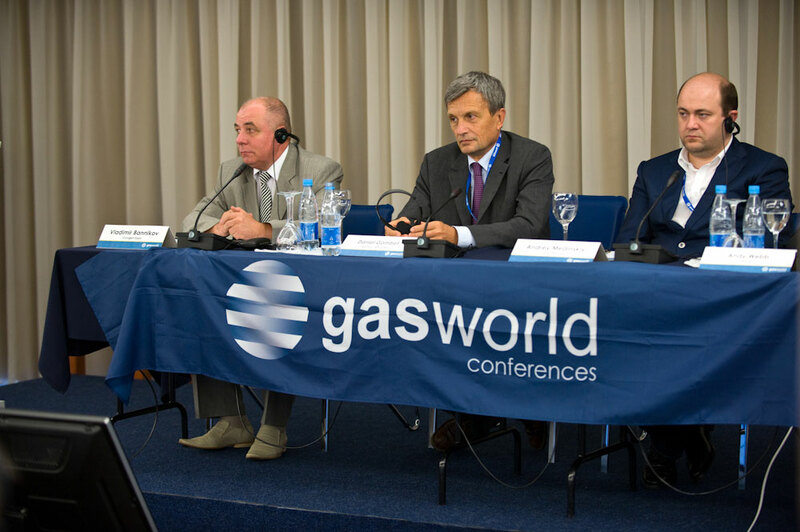 This gasworld Conference will offer you an insight into the existing business demands and opportunities in Eastern Europe, a region which is sure to experience rapid expansion in the coming years. With wealthy reserves of iron ore, nickel ore, oil and gas, and many other assets, the region offers great opportunity for the industrial gas community. Such prospects are compounded by a need to modernise. Economic transformation has driven the region forward, yet ageing equipment remains and the need exists to implement modern, energy-efficient technologies. The Conference “Eastern Europe Conference 2010. Industrial Gases: East meets West. 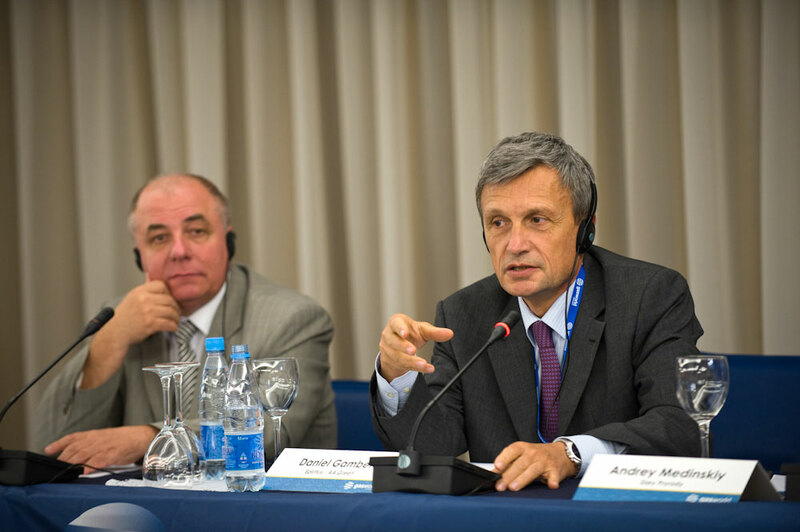 A deeper understanding of the needs of Eastern Europe” was hold In Kiev, 21-21 of May. This highly appreciated event was organized by “Gasworld.com Ltd”. 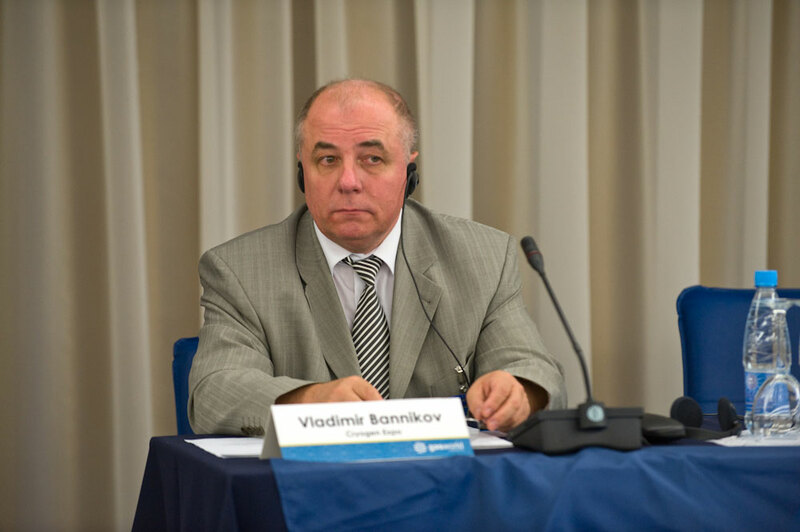 Vladimir A. Bannikov, general manager of the JSC Exhibition Company “Mir-Expo”, has taken part in the conference as a chairman of the second session. The conference has provided a plethora of thought-provoking presentations which explored the trends, dynamics, challenges and above all, potential of the Eastern Europe industrial gas business. With more than 120 delegates, of which around 45% were natives of the region, the conference has also achieved its fundamental objective – to unite the East and West points of the global industrial gas compass. 1. Holger Muent – EBRD: “Understanding the Investment Climate in E Europe”. 2. Lars Timner – Consultant: “The historical development of industrial gases in EE”. 3. John Raquet – Spiritus Group: “The current day market and treds”. 5. Andrey Medinskiy – Dary prirody: “Doing business in Ukraine and Russia. 6. Andy webb – EIGA: “Technical and Safety Standards – Europe V GosGortchnadzor. 7. Igor Voronin – Technex: “Professional support of industrial gases logistics & ASP project management”. 8. Iain Alexander Russell – Hydrogen Technologies: “Hydrogen Production Electrolyser Units. 9. Henrik Lynne – Union Engineering: “Carbon Dioxide Production Technology”. It was a concept executed extremely well, as key figures from throughout the global gases business came together here in Kiev, Ukraine for the benefit of the region’s flourishing gases scene. A wealth of opportunities to meet and converse, coupled with strong promotional booth interaction and an insightful, progressive agenda of presentations, has ensured the event was mutually beneficial for all. After the success and perspicacity of Day One, delegates and speakers alike gathered early this morning for the enterprise and elucidation of Day Two at the Rus Hotel. Technex’s Igor Voronin, Chairman of Session 4, opened proceeding’s with a smile and said, “I hope everyone is enjoying their stay in Kiev and this will remain in your memory as a good stay in our country." Exhibition update: April 22-25, 2010. Venue: Palacio de Congresos, Valencia, Spain. The official representative of organizer: Exhibition Company "Mir-Expo". The Congress is aimed to stem controversies from the fact that current congresses fail to promote true clinical discussion between practicing physicians and researchers on unresolved pressing issues. The purpose of the Cryopreservation of Stem cells, Reproductive Cells, Tissue and Organs Congress is to disseminate information in our field by debating the multiple controversial issues and reaching consensus when possible. Exhibition update: April 26-29, 2010. Venue: Conference centre Suza, Bratislava, Slovakia. The organizer: Icaris Conference Management. The International exhibition "CRYOMARKET 2010 Exhibition" is being run during the conference.